It is difficult to know precisely what is going on inside a drainage system as the majority of the pipes are well hidden behind walls and underground. However, there are tell-tale giveaways that certain problems are taking place. In this article, we will outline why your sink is making a bubbling or gargling noise as well as how you might take steps to address it. If you are facing drainage issues, give us a call today on 0808 164 0776. When your sink or bath is making a bubbling noise well after the water has disappeared then your pipe is likely clogged, blocked, or even collapsed. Because the air bubbles cannot make it through the pipe, they will escape through the nearest exit, generally, the plughole that it went down. As mentioned, the severity of the problem can vary drastically. In some cases, there might just be a relatively harmless build-up of material that can be forced onwards using a plunger or even a kettle of boiling water. However, it might be the case that the pipe is blocked almost entirely. The bubbling noise or gargling will often be in conjunction with slow-draining water. When this is the case, it is essential you get in touch with us as soon as possible. We will quickly and cost-effectively clear the blockage. In rarer cases, there might be a collapse somewhere in your drainage system. This can happen for a number of reasons, although it is usually associated with older drainage systems in poorer conditions. When a collapse has taken place, we will need to identify where the problem has taken place and carry out the necessary repairs. How we deal with it depends on your choice and the particular situation, although it typically involves cutting out a section of pipe and replacing it. As you can see, the reasons as to why your pipes are gargling might vary, but it is always a situation that you will have to deal with one way or another. Why Are My Pipes Blocked? Fats and Greases: Although grease might appear in liquid form when you pour it down the drain, it will quickly solidify in the cold pipes and create clogs that water will not be able to flow by. Human Hair: When we are washing our hair a lot of it will come out of our hair and, inevitably, end up going down the drain. This can clump together and create a serious clog. 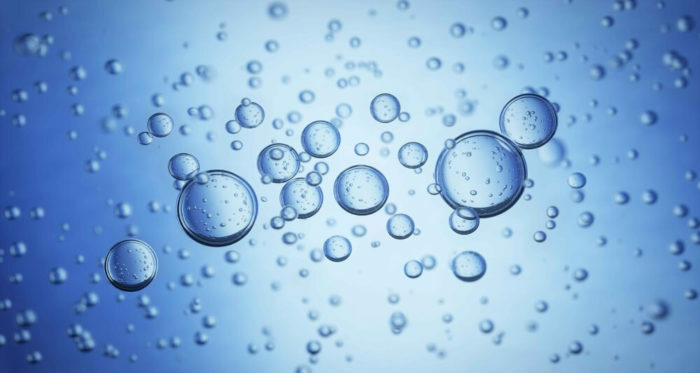 Soap Scum: Soap can end up clinging to the side of your pipes and drying in order to create a robust and dry substance that water will not be able to get by. Food: Either during the washing of dishes or just mistakenly being disposed of, food will cause problems within your drainage system and combine together in order to create a blockage. Can I Use Drain Cleaner? Although drain cleaner might clear out a clog if it is relatively near the surface, its corrosive properties will also mean that it will have a severe effect on your pipe system. In fact, repeated use can slash the lifespan of PVC and metal pipes incredibly quickly. Another option is to use enzyme cleaner, although this won’t necessarily fix the issue. Although it will break down organic material, it will not have any effect on other debris and materials within your pipe system. Instead, the most effective remedy is, perhaps ironically, water! Using our high-pressure water jet system, we will blast away any clog or block within your pipeline and flush it onwards, leaving all liquids flowing through at maximum capacity. At Clark Drainage we offer quick, reliable, and practical solutions to any problem that you might encounter in regards to your wastewater system. When a blocked drain strikes, you can rely on our rapid response 24/7, 365 days a year. Using our high-pressure water jet equipment, we will make short of work of any clog inside and have the water running at full capacity. Give us a call today on 0808 164 0776 to organise some work or for more details about our service.